We’d love your help. Let us know what’s wrong with this preview of Finding Libbie by Deanna Lynn Sletten. In the summer of 1968, Jack and Libbie fall in love under the spell of their small town, untouched by the chaos of the late sixties. Though Libbie’s well-to-do parents disapprove of Jack’ Poring over a dusty hatbox of photographs in her grandmother’s closet, Emily Prentice is shocked to discover her father was married to his high school sweetheart before meeting her mother. To ask other readers questions about Finding Libbie, please sign up. I have to admit that when I selected this book, I thought I was getting a family saga with a touch of mystery. WRONG. Instead, Finding Libbie is pure romance, not a genre I am particularly fond of and therefore something I only occasionally dip into. But putting that aside, I found the writing rather dull. For a story about love, passion and mental illness, there was no fire, no passion in the writing. It was all rather flat and came across like a school essay written by a rather mediocre studen I have to admit that when I selected this book, I thought I was getting a family saga with a touch of mystery. WRONG. Instead, Finding Libbie is pure romance, not a genre I am particularly fond of and therefore something I only occasionally dip into. But putting that aside, I found the writing rather dull. For a story about love, passion and mental illness, there was no fire, no passion in the writing. It was all rather flat and came across like a school essay written by a rather mediocre student. Another minus for me was the predictability of the plot. It all unfolds like a fairy story, complete with the requisite curse by an evil fairy godmother, and so its path was pretty easily discerned. I have read some really good romantic mysteries, but unfortunately, this wasn't one of them. With a little thought it could have been. Thank you to Lake Union Publishing via Netgalley for providing a digital copy of Finding Libbie by Deanna Lynn Sletten for review. All opinions expressed in this review are entirely my own. Opening the bottle, she took out one pill and held it in the palm of her hand. It was such a tiny thing, yet it could relieve such heavy pain. Her thoughts drifted to another room, another bed, another nightstand with a glass on it. That's when it hit her - she'd become her mother. Finding Libbie was a difficult and melancholy read for me. I struggled with the profound angst and duplicity occurring during this tale, as those tropes are just not among my favorite things. The story captured my attention from the beginning and I found the premise interesting and intriguing. Recall of good and bad memories of the time period began to surface. I had watched the draft lottery air on black and white television as a child. Similar to Jack and Libbie, I also became of age living in a small inbred town in the 70s, and it brought back - with unsettlingly clarity - memories of living through the era of inflation, Nixon, Viet Nam, protests, and the unfortunate trends of over medicating, Valium abuse, family secrets and covered up shame of mental instability. I had enjoyed Libbie and Jack's courtship until Libbie began to unravel. I seriously floundered as the narrative became painfully dreary, tediously repetitive, and mired with Libbie's abysmal disintegration. I chafed at the injustice and frustration of poor Jack and was near despair when the story finally shifted back to the present timeline and the tension of my body began to ease. I was ever so grateful to have stayed the course as I was moved to tears and actually sobbing by the thoughtful and moving conclusion. I wrap up my review to advise any angst loving readers bravely readying themselves to dive into the deep end of emotion - I warn you - it broke my heart, but it was worth the agony. Please prepare and gather your comfort foods, libation, and a box of tissues before cracking open page one. Thanks to Netgalley and Lake Union Publishing for granting me yet another great opportunity to read an Advanced Reader's copy. Another wonderful book! Emily is intrigued with an old hat box she has found in her Grandmother's closet. She opens it and discovers pictures of her father and a young lady. Her Grandmother tells her it is his first wife. Then she begins to tell the story of a tragic love affair. The first part of the book is about Jack and Libbie's life together. I quickly became enthrall Thanks to Netgalley and Lake Union Publishing for granting me yet another great opportunity to read an Advanced Reader's copy. Another wonderful book! The first part of the book is about Jack and Libbie's life together. I quickly became enthralled in their love story. The second part was Emma's quest to find Libbie and piece together the dangling fragments of the story. This was beautifully written and made me cry. I don't want to give away what it really was about but it was just heartbreaking to me. 3.5 stars. While Finding Libbie starts in the present day, it soon moves make to the 1960's, to that time of the Vietnam war, when women mostly still stayed at home and didn't go to work. When some were bored and fell prey to drugs and alcohol. Libbie comes from one of the most wealthy families in the town. Her family or at least her mother places her value on wealth to measure worth. Her sister was someone I really disliked, she was a real stirrer of the pot. Libbie's dad was good, if somewhat 3.5 stars. While Finding Libbie starts in the present day, it soon moves make to the 1960's, to that time of the Vietnam war, when women mostly still stayed at home and didn't go to work. When some were bored and fell prey to drugs and alcohol. Libbie comes from one of the most wealthy families in the town. Her family or at least her mother places her value on wealth to measure worth. Her sister was someone I really disliked, she was a real stirrer of the pot. Libbie's dad was good, if somewhat indulgent and with the penchant to look for a life of turning a blind eye to what was going on in his home. Jack was a hard working young man, in love with Libbie but as their life progressed he could see all was not right with Libbie. (They married so young - as many did in those days.) So when Jack's daughter discovers that he was married before the marriage to her own mother she is very curious as to what happened to Libbie. As the reader I was too, what did she do in the intervening years? How did this fragile, anxious but sweet young woman fare? It is Emily - Jack's daughter who when she learns of Libbie in her father's life spends time searching for her. It is a time for her too to re-evaluate how her own life is panning out and whether the man she is with, is right for her. The story comes eventually to a heartwarming and moving conclusion. I was amused at how well all the threads of the story were detailed out in the epilogue. It is rare that that happens! The bulk of this novel tells the story of Jack and Libbie. The high school sweethearts seemed destined for a happy life together, but their happiness is short-lived. Planning the wedding was stressful enough for Libbie, but it doesn’t end after the wedding. Libbie continues to struggle with fears and feelings she can’t control, not to mention her mother’s mysterious “illness” and her older sister’s resentment at having to care for their mother. Libbie is determined to be perfect in every way, bu The bulk of this novel tells the story of Jack and Libbie. The high school sweethearts seemed destined for a happy life together, but their happiness is short-lived. Planning the wedding was stressful enough for Libbie, but it doesn’t end after the wedding. Libbie continues to struggle with fears and feelings she can’t control, not to mention her mother’s mysterious “illness” and her older sister’s resentment at having to care for their mother. Libbie is determined to be perfect in every way, but her perception of failure and methods of dealing with her stress lead her, and Jack, down a road that can only end in disaster. I didn’t want this story to end. Jack and Libbie felt so real to me, and when I read of how their marriage came to an end, it broke my heart. I already knew it was going to happen—it’s right there in the blurb—but it was still painful to read about. I thought about these characters constantly when I wasn’t reading, and I kept hoping that Libbie would be found. I wanted so badly for them to have the happy ending they were denied when they were young. I couldn’t stand waiting to find out if it would happen! Finding Libbie is a beautifully written novel, and I enjoyed reading it very much. I have a feeling these characters are going to be fresh in my mind for quite some time. Sletten just earned a spot on my author radar with this one! Oh wow, what a read. It was wonderful to get the back story of Jack and Libbie, how they fell in love, their journey together, and what tore them apart. Then we get another story of Emily and how she finds out about Libbie, and gets determined to find Libbie and bring her father joy again. While that might sound like a lot to handle, this was written so well that it never felt like too much or too confusing. There are some serious subjects in here like mental health and addiction, but such a beautiful message within the pages as well. Really touching story. Finding Libbie was tougher to read than I thought it would be--very good, but just hard to read emotionally. From the description, I thought more time would be spent with Emily looking for Libbie, her father's first wife--a big surprise to Emily who learns about it when helping her grandmother pack up her house. The bulk of the book is set in the mid-1960s-70s, and tells the love story of Libbie and Jack, how it all began and how it went terribly wrong when Libbie's mental health issues lead to Finding Libbie was tougher to read than I thought it would be--very good, but just hard to read emotionally. From the description, I thought more time would be spent with Emily looking for Libbie, her father's first wife--a big surprise to Emily who learns about it when helping her grandmother pack up her house. The bulk of the book is set in the mid-1960s-70s, and tells the love story of Libbie and Jack, how it all began and how it went terribly wrong when Libbie's mental health issues lead to alcoholism and prescription drug use and ultimately rip the couple apart. If addiction is a trigger for you, the book may be difficult to get through, but the journey is ultimately worth it. I found myself turning the pages--both wanting to know what exactly happened between the couple and hoping for some kind of positive outcome for Libbie--who although at times frustrating as an addict can be, is such a good soul that I wanted the best for her. Wanting to make sure Libbie is OK and found happiness in her life is Emily's motivation for searching for her and since her father is lonely and still struggling after her mother's death, she thinks that it might be helpful for him as well. This generosity of spirit makes Emily a likable character. In fact the book is full of likable characters, with the exception of Libbie's family who went well beyond just trying to hide Libbie's issues--granted mental health issues were looked at very differently and misunderstood in that era, but they were just plain awful. The chapters with Emily's search for Libbie bracket the love story and I wished there was a bit more of the present day story and more to the epilogue. Still, it's a small criticism for a well-written book that takes a deeper and more heartrending look at love than your average romance. Finding Libbie is my first book by this author but based on this book, I will definitely be picking up more of her novels. I absolutely LOVED Finding Libbie. This is the first book of this authors that I have read, however I have a feeling it will most certainly NOT be my last! Finding Libbie is full of memories, sorrow, heartache, tears and love. This book is definitely one of the best books I have read this year!! "It's just that Dad and Libbie's story is so sad, I feel a need to find out if Libbie is okay, whereever she is." One of my favorite quotes from this book, it shows how caring Emily is and how much she t I absolutely LOVED Finding Libbie. This is the first book of this authors that I have read, however I have a feeling it will most certainly NOT be my last! 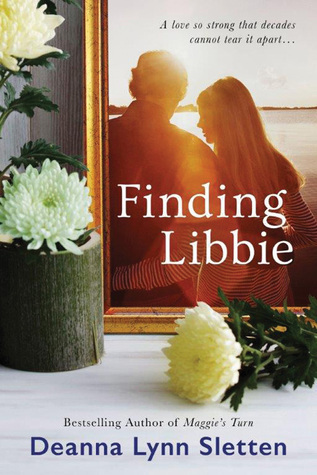 Finding Libbie is full of memories, sorrow, heartache, tears and love. This book is definitely one of the best books I have read this year!! One of my favorite quotes from this book, it shows how caring Emily is and how much she truly cares for her father. This story is beautiful and is full of so many emotions. Emily learns so much about Jack and Libbie's story (Libbie is Jack's previous wife before he met Emily's mother & married her), and she just can't get their story out of her mind. I thought Finding Libbie is truly a story about love and memories. How would you handle finding out that your father was previously married and you had no idea? That is just what happens when Emily helps her grandmother pack her house and finds pictures of her father with another woman. This was such a touching and emotional love story of Jack and Libbie that left you wanting and wishing for the best in the end. Talk about pulling your heart strings and moving you to tears! I really enjoyed this book! I received a free copy of the book in exchange for an honest How would you handle finding out that your father was previously married and you had no idea? That is just what happens when Emily helps her grandmother pack her house and finds pictures of her father with another woman. This was such a touching and emotional love story of Jack and Libbie that left you wanting and wishing for the best in the end. Talk about pulling your heart strings and moving you to tears! I really enjoyed this book! I was intrigued by the premise of Deanna Lynn Sletten's novel, Finding Libbie. Emily is helping her grandmother pack up the family farm when she finds a hatbox filled with old photos of her father as young man. Her grandmother tells Emily that they are photos of Emily's father Jack with his first wife Libbie. His first wife? Emily had no idea that her father was married before. Her own mother died last year, and Emily knew how much her parents loved each other and how devastated her father was wh I was intrigued by the premise of Deanna Lynn Sletten's novel, Finding Libbie. Emily is helping her grandmother pack up the family farm when she finds a hatbox filled with old photos of her father as young man. Her grandmother tells Emily that they are photos of Emily's father Jack with his first wife Libbie. His first wife? Emily had no idea that her father was married before. Her own mother died last year, and Emily knew how much her parents loved each other and how devastated her father was when she died. The story of Libbie, a beautiful young woman from one of the town's most prominent families, and Jack, the hardworking son of a cabinet maker who lived on a farm, is related through flashbacks. Jack was head-over-heels in love with Libbie when he swept her off her feet in high school. Libbie's mother was openly hostile to Jack and Libbie's relationship, looking down on Jack as just a lowly mechanic, someone who couldn't possibly make her daughter happy. But Libbie was in love, and Jack's family treated with kindness and respect, unlike her mother and older sister Gwen. We see how Jack wooed Libbie with romantic gestures, and was thrilled when she agreed to marry him, over her mother's strenuous objections. They lived in a little cottage on a small lake, and Jack worked as a mechanic. Life was good. Libbie tried hard to be a good wife, keeping house and cooking meals she learned from Jack's mother, but she soon grew bored. She began to drink, and her moods swung wildly. She feared that she was becoming more like her mother, who increasingly began to spend her entire day in her dark bedroom, drunk and taking pills. Jack was distraught; he did everything he could to help make life easier for Libbie, but when her father bought them a big house, Jack had to work more hours just to keep up with the bills, and so he spent more time away from home. The isolation that Libbie felt only made matters worse. Eventually we discover what happened to Libbie and Jack, and Emily sets out to try and find Libbie. In her journey to find Libbie, Emily discovers some things about her own life. She has been living with and supporting her boyfriend while he goes to school, and she has to decide if this is the life she is willing to settle for. I loved Finding Libbie, and it's not the genre of book I usually enjoy. I found myself so caught up in Jack and Libbie's story, and Emily's journey too. I read it in two sittings, and it even kept me on the treadmill longer, the sign of a truly good book. Sletten handled the topic of addiction and mental illness with sensitivity, and I daresay that anyone who has experienced that for themselves will probably appreciate this beautiful story even more deeply. Since the story takes place in the late 1960's/early 1970's, people didn't understand as much about these issues as we do now, and so didn't know how to handle them. What a roller coaster ride this book was! In a good way. Deanna Lynn Sletten is a new to me author and I'm glad I got to try her out. The majority of this story centers on Jack and Libbie. They courted, fell in love, married, and lost each other in the late 60s through early 70s. Once you see it coming, and know what's coming, you can't help but hope your wrong. Jack is the most loving and caring hero. In the beginning Libbie is the perfect heroine. Rich and protected by her family, but not pretentious. She's willing to stand up to her family for love. It's beautiful. The way the author wrote about Libbie's slow spiral down is so realistic and heartbreaking. Living in modern times, when we know so much more about certain afflictions (don't want to give spoilers here), it angered me the way Libbie's family and even doctors treated her. At the same time, I was beginning to hate Libbie for what was happening to Jack. I say that's a sign of a great story...the fact that I got so emotionally invested in these characters that I wanted to reach through the pages and help them. What a different read for me, that I did enjoy. Finding Libbie starts with 30 year old Emily assisting her grandmother with items in her grandmother's home, preparing for a move. An old hatbox is found in the far reaches of a closet, with photos of Emily's father and a young woman named Libbie - her father's first wife, of whom she knew nothing about. What follows is the story of how Jack and Libbie fell in love, starting in 1968. Reading the synopsis, you get the feeling that the book is more abo What a different read for me, that I did enjoy. Reading the synopsis, you get the feeling that the book is more about Emily; but it is not. This book is about Jack and Libbie and their struggles as a very young married couple: they deal with Libbie's mother who thinks Jack is not good enough for her daughter, finding their first home that they rent before moving into purchasing a home, attempting to have children - all the while, Libbie struggles with depression as well as discovering some hard truths about her own mother. And there is the center of the book: dealing with issues of mental health. I simply could not stop reading this book, wanting to find out the truth about how this young couple who started out so much in love were unable to make things work. The story was told in such a way by the author that you had complete empathy for Libbie and her struggles, as well as for poor Jack as he struggles to keep his marriage together. However, for me, the epilogue of the story was a bit abrupt. I almost would like to have seen it end at the point prior to the epilogue, and maybe been given a bit of a short story or novella that went into a bit more detail. That keeps me from giving the book a full four stars. I am giving the book 3.5 stars but that does not mean this is not a GREAT read. It is at times heart breaking, and hard to deal with all the emotions involved. But I think the author had something to say about mental health issues, and I think she does so wonderfully. What would you do or think if you found out that your father was previously married and you had no idea of this? This was a story also about 'mental illness,' which presented quite a roller coaster ride and even to having a second chance at love. Libbie was Jack's previous wife before he met Emily's mother & married her. The reader will be captivated in finding out the truth about this young couple [Libbie and Jack's] struggles in this very emotional love story. Be ready for quite a heartbreaking read full of 'memories, sorrow, heartache, and love.' This was definitely a tear grabber. Now, why was that? Why couldn't Emily get this story out of her mind..."It's just that dad and Libbie's story is so sad, I feel a need to find out if Libbie is okay, wherever she is.' This is where I say you will have to pick this read up to see how this author will bring it all out to the reader. This is definitely a good love story that will break your heart as it deals with addictions and mental illness with some 'well drawn characters, in a Minnesota setting during the Vietnam War.' This read definitely left me saying Wow what a good read! ARC Provided by the Publisher and NetGalley. As I said, I ended up really liking this Finding Libbie is a compelling and heartbreaking book that also manages to leave you with a feeling of hope in the end. I ended up liking this book a lot more than I thought I would. I'll admit that it was slow for me to start, but I ended up being drawn into the tragic love story of Jack and Libbie. Emily finds out that her father was married before he married her mother. After hearing their story from her grandmother, she sets out to try to find Libbie. Wow!!! Simply wow! Am in awe of this author for wringing out my heart with this story. This is actually the love story of Jack and Libbie. They loved and lost 30 years prior, Jack moved on, but Libbie drowned in her sickness and despair. It took a chance encounter with some old pictures and buried memory for Jack's daughter to make it her mission to find Libbie. She did find Libbie. Now Jack is a widower. Will these two still connect? *Spoiler alert*. They did, but I was still heartbroken. Yes, Wow!!! Simply wow! Am in awe of this author for wringing out my heart with this story. This is actually the love story of Jack and Libbie. They loved and lost 30 years prior, Jack moved on, but Libbie drowned in her sickness and despair. It took a chance encounter with some old pictures and buried memory for Jack's daughter to make it her mission to find Libbie. She did find Libbie. Now Jack is a widower. Will these two still connect? *Spoiler alert*. They did, but I was still heartbroken. Yes, I was. My throat literarily closed up. I cried like a baby, with running nose, blabbing. I had to hide in my bedroom before the DH call the people in white jackets to come take me away. Jeez, I don't know what to write again. This is one of the best novels I have ever read. Truly. I could not put it down. I devoured this story about Libbie. Ms. Sletten writes with care as she tells her stories. Finding Libbie is a sweet, clean story with a few unforgettable characters. I recommend this story, and I recommend Ms. Sletten as an author and a storyteller. This is a unique love story that will warm your heart! Thanks to the author for a complimentary copy. I really enjoyed this book! I received this book from NetGalley and Union Lake Publishing in exchange for an honest review. Jack Prentice loved Libbie for what felt like his entire life. When he married his dream girl he had no idea that their dream would quickly turn into a nightmare. H I received this book from NetGalley and Union Lake Publishing in exchange for an honest review. This story is a heartbreaker. Be sure you have a box of tissues handy whenever you dive into this marvelous story. Personally, I needed a hug every couple of chapters. This story gets you right in the feels. In part, that’s because the love story related in this novel is heartwrenchingly bittersweet. As we look back on it through the lens of the storyteller, we know that it is going to end in tragedy. What we experience as the story is told is the depth of that tragedy. They should have had a happy ending. Instead, we see bright hope turn to despair on a trajectory that is all-too-easy to anticipate, but was impossible to stop. The other aspects that will make 21st century readers weep, and scream in frustration, is the way that the treatment of women’s health and mental health, particularly at the intersection of the two, made what was already a bad situation much, much worse than it needed to be. And while we like to believe that things have changed, they haven’t as much as we hope. This story works in framing story type of narrative. Emily is helping her grandmother clean out the old family house in preparation for moving to a townhouse in the center of town. This is a labor of love for both women, but the process reveals more of the past than Emily knew existed. A long-forgotten box of photographs reveals a piece of Emily’s father’s past that she never knew, but that Bev witnessed in all of its bright hope and dark ending. Before he married her now-deceased mother, Jack Prentice was married to his high school sweetheart, Libbie Wilkens. The box of photos is all that is left of their tragic marriage. The bulk of the book is Bev telling Emily the story of her dad’s first marriage. Libbie was the daughter of one of the town’s richest families. She was bright and beautiful and defied her parents’ expectations to marry hard-working Jack Prentice. But she lost herself along the way to a neverending cycle of prescription drugs, alcohol, and increasingly frequent stays in rehab to dry out. In the end, they break. We see it coming all along the way, and we want to reach into the book and shake some sense into nearly everyone. But we have more perspective on what is wrong with Libbie than her contemporaries do. This story takes place in the late 1960s and early 1970s. And that past is another country. Everyone believes that Libbie is just “sensitive”, like her mother. And that it is still Jack’s job to take care of her and protect her from anything that might stress her or upset her. The possibility that it is that protection that is part of the problem never occurs to people. She is just seen as inherently weaker because she is female. She’s not allowed to work because that might cause her more stress. Instead, doctors prescribe more and more pills to help her. Not all of them know what other doctors are prescribing, but there is also a definite sense that because she is female her problems are all just “emotional” and pills should fix her right up. There’s never a sense that anyone believes there might be underlying concerns that need to be diagnosed. And no one in her family wants to even think about the possibility that the stigma of mental illness might be attached to one of “them”. While Jack doesn’t feel that way, he is relatively young and completely overwhelmed. Between taking care of Libbie and working two and three jobs to keep them financially afloat, he is in over his head every second. In the end, everything goes too far, and their brief marriage is over. In the present, Emily is left with a dilemma. Multiple dilemmas. She feels deeply for Libbie, and wonders what happened to the bright young woman who was disappeared by her family into some unknown but probably institutionalized future. She’s worried about her widowed father, who has retreated into increasing amounts of work to cope with his grief. So she decides to find Libbie. In the unstated hope that searching for her happy ending, or at least some closure, will provide Emily with the perspective to deal with the unresolved issues in her own life. Escape Rating A-: The blurb essentially gives away the story, but the book is absolutely compelling, even though the reader knows the historical part of the story before it begins. This is one of those books where even though you know the what, the how of it will keep you enthralled until the very end. The way that Libbie is treated is guaranteed to make 21st century readers gnash their teeth in frustration. But it feels very true to the time period. The world of women’s opportunities was changing in the late 1960s and early 1970s, but it had not changed completely (if it ever has). Libbie is growing up in what Betty Friedan described in The Feminine Mystique as “quiet desperation”. She was supposed to be decorative and not functional, except within the sphere of the home. And it wasn’t going to be enough, with or without her family’s history of undiagnosed mental illness. Added to her mental health issues, she was doomed. And when the story returns to the open-ended present, it still keeps you turning pages. Emily’s search gets under your skin. She may be using her search for Libbie as a way of distancing herself from her own issues, but it feels like it’s the scary but right thing to do. Libbie could be dead. She could be happily remarried. She could be institutionalized. She could still be some kind of addict. She could still be angry at Emily’s father. And if Emily finds Libbie, Jack may not be ready or willing to revisit a past that caused him so much pain. But in finding Libbie, Emily surprisingly finds herself. And it’s marvelous. Finding Libbie tells such a moving story. It begins with Emily helping her grandmother to clean out her farm house before she moves. Emily finds an old hat box of letters and photos, and realizes her father was married as a young man, before he met her mother. The first part of the book tells the story of Emily's father, Jack, and his first love Libbie. They were high school sweethearts in 1968, although she came from a prominent family and he was from a strong working class family. The book be Finding Libbie tells such a moving story. It begins with Emily helping her grandmother to clean out her farm house before she moves. Emily finds an old hat box of letters and photos, and realizes her father was married as a young man, before he met her mother. The first part of the book tells the story of Emily's father, Jack, and his first love Libbie. They were high school sweethearts in 1968, although she came from a prominent family and he was from a strong working class family. The book beautifully captures small town life in the 1960's, with details like an outdoor movie on a big screen, Dairy Queen, a roller rink, an A&W drive in, a Fourth of July carnival. Jack and Libbie are both likable, sympathetic characters and I really enjoyed reading about their early romance. For this reason, I found it really hard to read about Libbie's unhappiness and addiction. The second part of the book involves Emily's search for Libbie. As I read along, I really hoped for happiness for these characters that I came to care for in Finding Libbie. I liked Emily's look into the past and search for Libbie. Very fast and easy read. While set in entirely different era, amazingly this book's plot was remarkably quite similar to the book I had just finished, the Secret Wife ... I enjoyed the beginning of the book, through the courtship of Jack and Libbie, however when Libbie goes into her spiral - I found that this part of the book was somewhat tedious, boring and quite repetitive. Once the story went back to current day, I started to enjoy the book again, and almost was some what close to tears in some parts. The story starts with Emily helping her grandmother pack up and downsize from the old family farmhouse where Jack, and his younger sister and brother grew up, to move to a small town house now that her grandfather has passed away. As they are packing up they come across an old Hatbox that is full of old photos, some of which have been torn up. Emily is shocked to learn that her father had been married previously to his high school sweetheart, prior to his marriage to her mother (now deceased from breast cancer of 2 years). On learning about her father, Jack having been previously married to Libbie - the book then turns back and starts with when Jack, in Grade 11 agrees to volunteer to help with decorating for the school prom, because his major crush, Libbie is the prom organiser. The story follows Jack's, the son of farmers, absolute love for Libbie, who is the daughter of an extremely wealthy business man / furniture store chain owner. Jack is not deemed to be good enough for their daughter, but despite this, Jack, un-flaunted, contintues to pursue Libbie. The night of their graduating Prom, he proposes and she agrees, and they marry a year later after he has finished his 1 year of study to be a car mechanic. They move into a very small house. Just weeks before the wedding, Libbie is flustered and really anxious about the wedding, and her sister ends up giving her some Valium to help with her nerves. Thus starts the long spiral of Libbie taking Valium, then wine and becomes a secret drug abused alcoholic. Not being able to cope with the boredom of being a stay at home housewife, later a part time librarian, or other fears (e.g. the draft and threat of Jack being going to Vietnam). She totals her car, and is put in short term care. Notwithstanding the constant ups and downs of Libbie's issues with drugs and alcohol and her massive mood swings from being up and then totally depressed, it is clear that Jack is still completely smitten and in love with Libbie and continues to help and stand behind her. Until finally one day, Libbie completely loses control in a complete and utter rage, she tears up all their photos and tells Jack she hates him. He leaves her to go have a drink with his best friend Larry, hoping that she will have calmed down by the time he returns, howevever when he does return, she had been yelling, screaming and throwing so many things that the neighbours had called the police, who in turn had called Libbie's sister and father. On Jack's return, they tell Jack to leave, that Libbie wants nothing to do with him ever again. Jack continues to try and see Libbie, ending up in jail ... and after which the marriage is ended. Years later, he marries his best friend's baby sister. The book then comes back to present day. After learning the story of Libbie, Emily becomes determined to find her, and see if she's OK. She finds her old friends, Carol, Larry, and others, all of whom lost touch with her after she had gone into her spiral. Eventually, Emily finds her in an assisted living home. She comes to meet her and learns that in the 5 years that she has been there, Libbie has never once had a visitor - always hoping, but never. She later learns that after years and years and years of treatment for valium, drugs and alcohol, it is only 10 years ago that they finally properly diagnosed her, with bipolar. Now properly treated, and provided she takes her meds, she has been fine. Carol, Bev (Jack's mother) and her other friends come to see her. Emily then asks her father to go. Finally they are reunited ... and marry for 10 years before Jack passes away. Emily Prentice offers to help her grandmother Bev pack up her belongings into a series of boxes in her farmhouse home. She is soon to move and wants to get ahead of sorting a lifetime’s worth of mementos and furnishings into piles to be kept, boxes for the charity shop and things that can be thrown out. Whilst emptying a wardrobe, Emily comes across a pretty hatbox stuffed full of photographs and other personal belongings of her father’s, who has been recently bereaved. Emily’s mother had died a Emily Prentice offers to help her grandmother Bev pack up her belongings into a series of boxes in her farmhouse home. She is soon to move and wants to get ahead of sorting a lifetime’s worth of mementos and furnishings into piles to be kept, boxes for the charity shop and things that can be thrown out. Whilst emptying a wardrobe, Emily comes across a pretty hatbox stuffed full of photographs and other personal belongings of her father’s, who has been recently bereaved. Emily’s mother had died after a long battle with illness, after a long and happy marriage. As she looks through the old photographs she sees one of her Dad with a beautiful young lady, taken in the late 1960’s and asks her grandmother whom this lady is. She is surprised to learn that Libbie was her father’s first wife and asks Bev what had happened to drive them apart. The first part of this novel tells about the heartwarming romance between Jack, her father, and Libbie Wilkens, who came from one of the wealthiest families in their neighbourhood. Their fledgling relationship met opposition from her parents because they were not from the same social class, but love overtook everything else and at last they became man and wife. Emily is transfixed by their story and particularly by it’s unexpected unhappy ending and she decides to see if she can track down Libbie to see if she had had as happy a life as her mother and father had, after they parted. She undertakes extensive searches on the internet and even visits old friends of Libbie’s, but she cannot find any trace of her. Then at work one day she strikes lucky when she discovers Libbie occasionally shops in the very shop that Emily manages. The second part of the book, shorter by far, finds Emily getting in contact with Libbie and establishing a warm friendship. She visits Libbie often and eventually hopes that her father may agree to an informal reunion with the beautiful woman whom he had once loved so completely, now happy and relaxed. He is very resistant, believing Libbie will not welcome a visit from him and that sometimes it is better to leave things alone than to stir up the past. Nevertheless, Emily lives in hope that he will change his mind. “Finding Libbie” with its subtitle ‘A love strong enough that decades apart can’t tear it apart’ is an emotional roller coaster of a romance novel. The storytelling beautiful and fluid, with warm, rich characters, cleverly crafted so that they are believable and full of empathy. Jack is a wonderfully loving and romantic man; patient, understanding and long suffering. Libbie struggled with undiagnosed issues, soon after their marriage, but found that mixing prescription drugs with alcohol was a welcome release from her anxiety and depression. In those times little was known and even less understood about mental health issues and even her father, who loved her dearly, described her as ‘fragile’ with her ‘nerves’. Today Libbie would have had better advice and would have stood a better chance at recovery, instead of being forced into actions she didn’t welcome or want. I really enjoyed this novel and would like to thank NetGalley and Lake Union Publishers for my copy, sent to me in return for an honest review. The sensitivity and compassion in this story remained me of the books written by Nicholas Sparks, the master of women’s romantic fiction. I recommend this as a really lovely read within this genre. Finding Libbie is a poignant tale of love found, love lost, heartache, and a trail of memories that will captivate your heart and soul. The author weaves a beautiful and dramatic tale that follows Jack and Libbie's love story. The story opens up with Emily Prentice discovering a hatbox of photographs of her father Jack with a young woman named Libbie. Unbeknownst to Emily, Jack and Libbie had been high school sweethearts who got married in 1968, but their short-lived marriage only lasted until th Finding Libbie is a poignant tale of love found, love lost, heartache, and a trail of memories that will captivate your heart and soul. The author weaves a beautiful and dramatic tale that follows Jack and Libbie's love story. The story opens up with Emily Prentice discovering a hatbox of photographs of her father Jack with a young woman named Libbie. Unbeknownst to Emily, Jack and Libbie had been high school sweethearts who got married in 1968, but their short-lived marriage only lasted until the early 1970s. This touching love story takes the reader along on Jack and Libbie's emotional memory woven journey, it will draw you into their lives and will pull at your heartstrings. The author's descriptive writing style is phenomenal, she simply captivates your imagination and engages you to come along on the emotional roller coaster ride that is Jack and Libbie's love story, and then she brings you back to the present when Emily embarks on a search to find Libbie. The author has created an intriguing cast of characters who are realistic and complex people that the reader can relate to. Their engaging personalities grab a hold of you with dialogues and interactions that leap off the pages. The emotions and passion between Jack and Libbie are palpable, you can't help but feel for them as they deal with personal demons and relationship issues. Libbie's struggle with mental illness and addiction is simply heart wrenching especially for Jack who loves her so much, author Deanna Lynn Sletten sure knows how to draw out the emotions from her readers! This emotionally charged story is one that everyone who believes in love should read, it is a powerfully compelling story that will leave you wanting more. I could easily see this novel as a Lifetime Channel movie. Finding Libbie is a beautiful story of a couple's lost love through old memories and a painful past brought to the surface by a loving daughter who wants to help her father find love and happiness again. This love story is one for the ages, it will resonate with you long after the last word has been read. Disclaimer: I received a copy of the book from the author / publisher via NetGalley in exchange for my honest review and participation in a virtual book tour event hosted by Chic Lit Plus Blog Tours. Review: I'm totally obsessed with family stories that involve secrets.The main bulk of the story is set in the decade that I wish I had grown up in, the 60s. This story is an emotional one, which is another thing that I tend to gravitate to when it comes to books. I like stories that pull me in like that. If a book can make me laugh, feel anxious or cry then I know it is a good read. Jack and Libbie's relationship will draw you in like that. The were high school sweethearts from different social backgrounds. That is something that causes problems between the two, but there's more to it than that. Libbie's mental health is not good. and soon she gets mired in alcohol and drugs. I felt terrible for both characters as Libbie's addiction took control of her, especially since no one seemed to really care about her actual health, except for Jack and he was getting no help where it was needed. By the end of Jack and Libbie's story my heart had broken for both of them. Jack was so idealistic and so in love. This story seems to remind us that money doesn't make a loving family. If you didn't want to hit every member of Libbie's family than you are totally unfeeling. The second part of the story is Jack's daughter Emily and her quest to find the woman that her father married before her mother. It was sad, because these two were meant for each other. It definitely is a storybook romance that went terribly wrong. I wanted more of Emily's story. Her story was a little too short, wrapping things up quickly. I liked the Emily wanted to find Libbie for her father. This could have been something that could have gone terribly wrong and brought up old hurts but it works well. It also shows what a good person Emily was. I know I probably wouldn't find someone my father loved before my mother. I can't recommend this book highly enough, but if you do take the chance and read it, have some Kleenex handy, because you'll need them. Finding Libby was a story that had so much meaning. Showing that just because you come from money, doesn't make up for love. Jack was a down to earth farm boy that was rich in so many ways. What he went through in this story went on a little too long. My heart was breaking for him. What was clear is Libby had emotional issues and a mother who loved her, but had more than just emotional issues. The power of addiction was shown strong in this book. As much love as there is sometimes. Addiction and Finding Libby was a story that had so much meaning. Showing that just because you come from money, doesn't make up for love. Jack was a down to earth farm boy that was rich in so many ways. What he went through in this story went on a little too long. My heart was breaking for him. What was clear is Libby had emotional issues and a mother who loved her, but had more than just emotional issues. The power of addiction was shown strong in this book. As much love as there is sometimes. Addiction and mental illness can take a toll on a family. This story was done in a way that you could feel the pain. Watching what Libby had to go through with her mother and sister made me want to kidnap her from that family. No wonder she loved the farm and Jacks mom and dad so very much. This review has been hidden because it contains spoilers. To view it, click here. Throughout my reading, I was set on giving it 3 stars, but with the ending, I had to bump it up to 4. Pros: A very sweet story. Lovable characters (the ones you're meant to love, anyway). Happy ending. Cons: It was Hallmark-y, as in a bit cheesy. The dialogue felt unnatural at times. I'm a stickler for dialogue. The "bad" characters were caricatures, for lack of a better term. Gwen, especially. Just too cheesy how terrible she was. It felt very black & white at times with the characters. Goo Throughout my reading, I was set on giving it 3 stars, but with the ending, I had to bump it up to 4. Cons: It was Hallmark-y, as in a bit cheesy. The dialogue felt unnatural at times. I'm a stickler for dialogue. The "bad" characters were caricatures, for lack of a better term. Gwen, especially. Just too cheesy how terrible she was. It felt very black & white at times with the characters. Good vs evil kind of thing. I'm a fan of grey areas and this book doesn't quite offer that.